AS ZANU PF succession fights threaten to tip the party over the cliff, Hurungwe East MP Sarah Mahoka has threatened Vice President Emmerson Mnangagwa with death in President Robert Mugabeâ€™s presence. Mahoka, who is the Womenâ€™s League secretary of finance, was addressing thousands of women gathered at the partyâ€™s headquarters. Speaking to Mnangagwa directly, she told theÂ VP to â€œstop your peopleâ€. 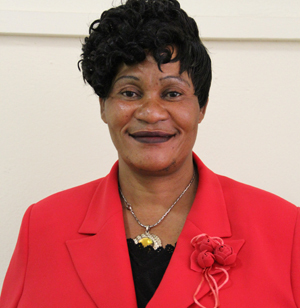 Mahoka is First Lady Grace Mugabeâ€™s close ally. â€œYou will die in a house. These things you are seeking will get you killed. We support the President and the leadership chosen at congress. We are not saying Mnangagwa should be removed but he must not sit there like a duck while his people violate us,â€ Mahoka said. Mnangagwa, Mugabe and Grace, among other top officials, sat stone-faced as Mahoka went on a tirade against presidential press secretary George Charamba. She asked Mugabe to comment on whether Charamba was speaking on behalf of the first family picking a quotation from an interview the Information Permanent secretary gave to a private radio station that has become the subject of discussion across the country. â€œWe would like to know if the President sent Charamba to say these things. The Herald must stop these things that it is publishing and concentrate on developmental issues,â€ said Mahoka. Grace, who briefly addressed the same gathering ostensibly meant to welcome and thank Mugabe, called for calm and unity. â€œWe must unite and stop the discord. It is not necessary and the private media cannot be blamed because we feed them with these things,â€ she said. Mugabe, while acknowledging Mahokaâ€™s accusations, gave an analogy of a â€œwoman we lived withâ€. â€œShe was in the habit of shouting at everybody whenever her child came home crying. Without even seeking to understand whether it was her child who was wrong or not,â€ Mugabe said. He did not directly respond to Mahokaâ€™s assertions but indicated that the factional wars had also been discussed at Tuesdayâ€™s cabinet meeting and would be subject of discussion at Wednesdayâ€™s politburo meeting.